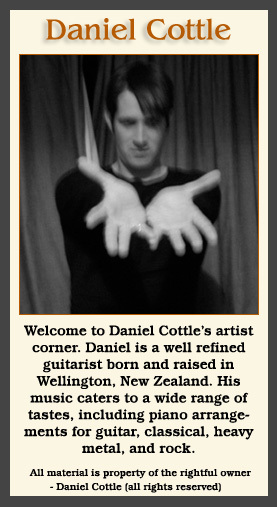 Daniel was born and raised in Wellington, New Zealand. During his early years he developed a guitar obsession, mostly influenced by his brothers playing Guns and Roses. 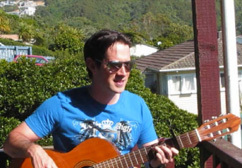 More recently he has grown into performing modern finger style guitar arrangements. Daniel finds it satisfying and magical merging the treble, bass and lyrics into a single instrument. 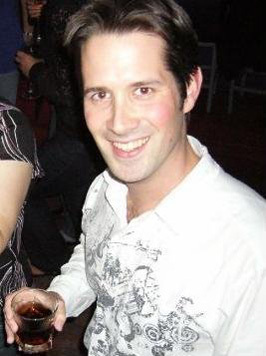 Daniel’s music caters to a wide range of tastes, including piano arrangements for guitar, classical, heavy metal and rock. Daniel has supported a number of charities through his music, including raising money for cancer patients through his work on YouTube.